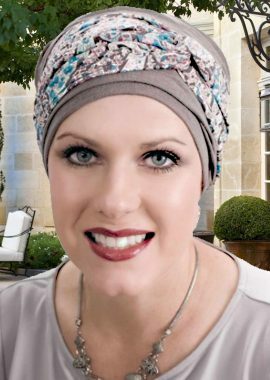 Detailed gathering provides flattering volume and interest around the crown. 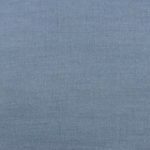 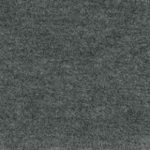 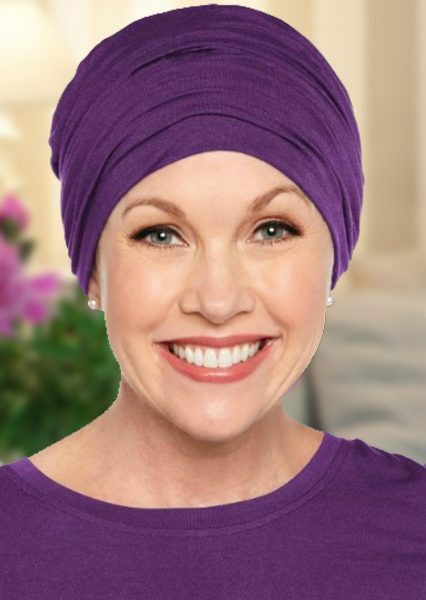 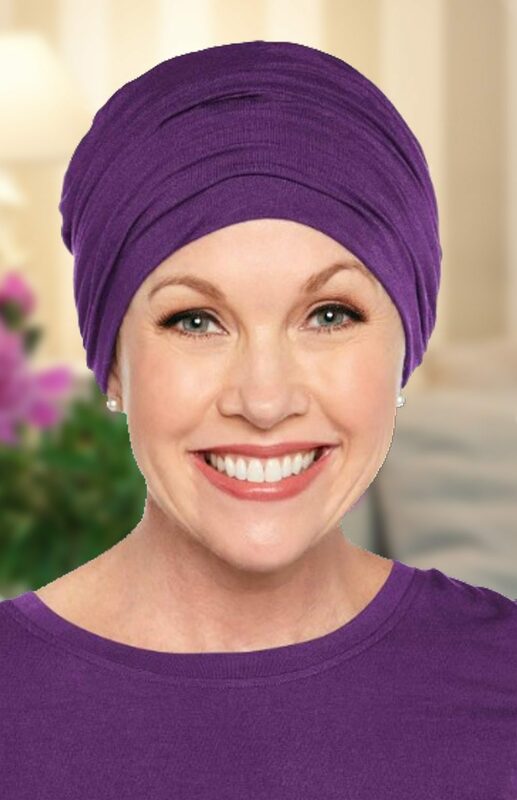 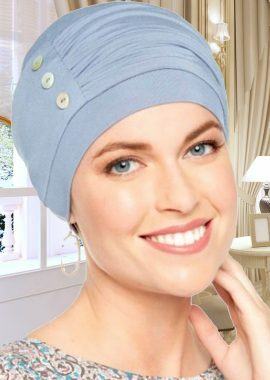 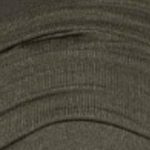 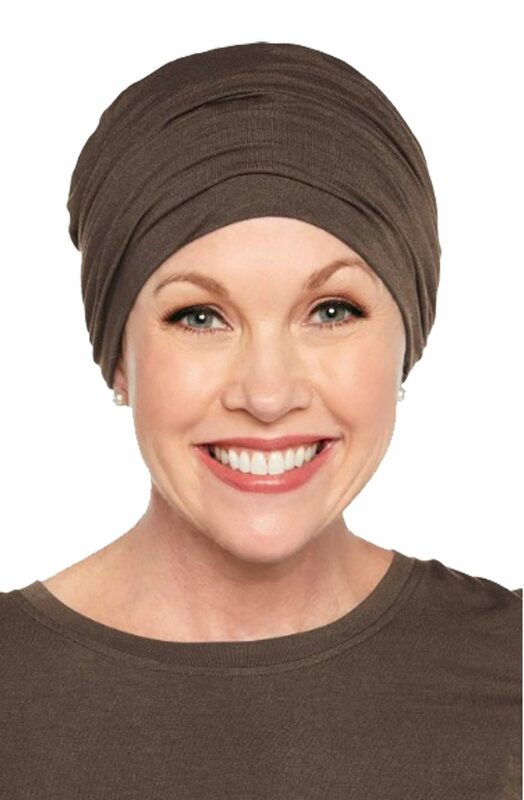 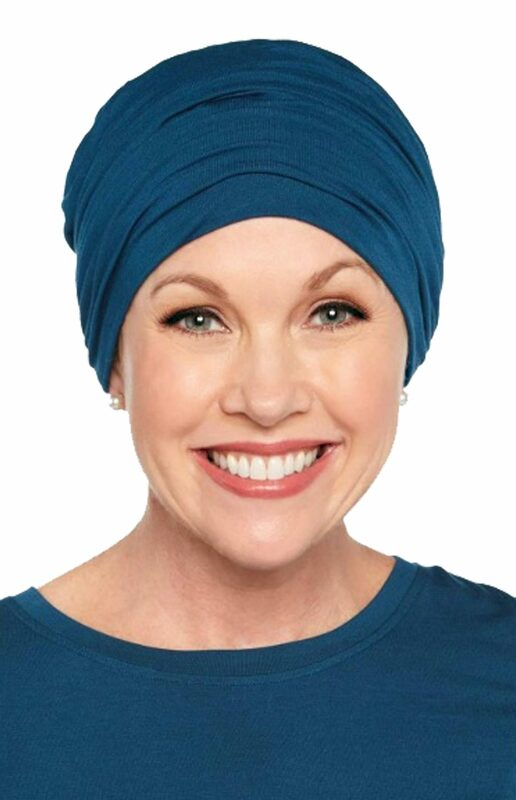 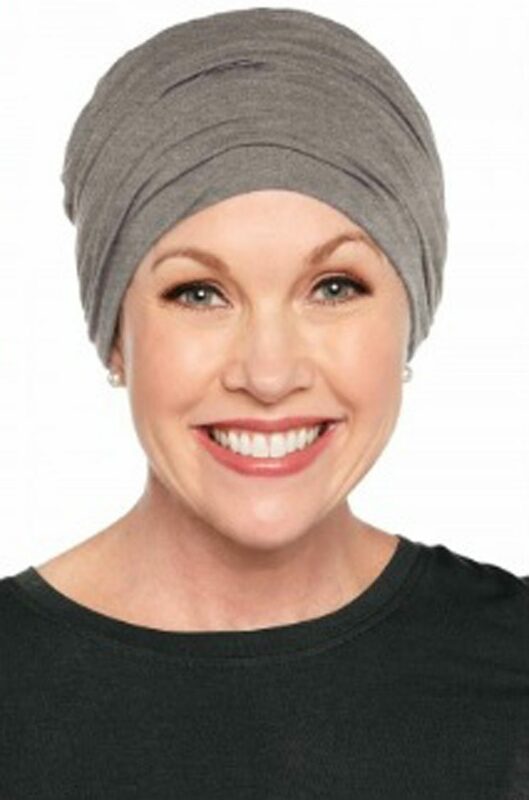 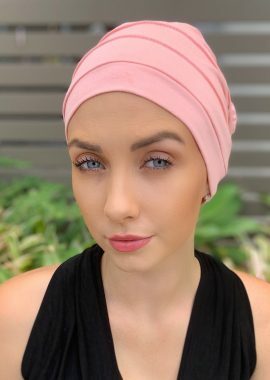 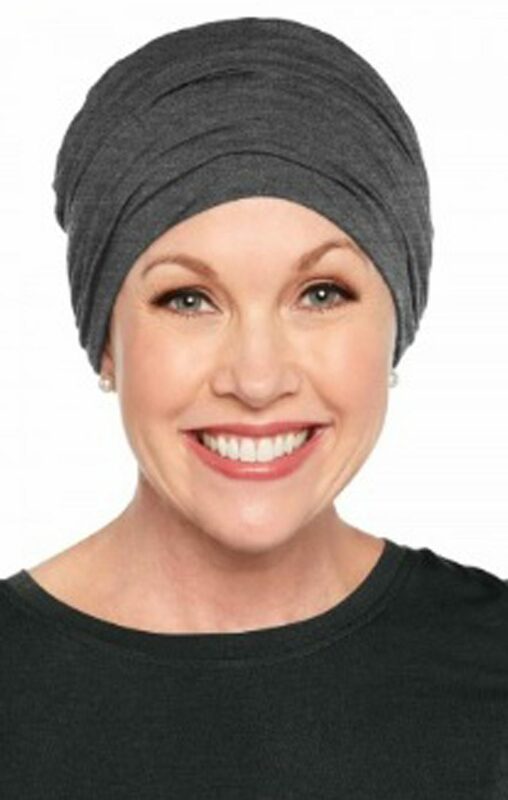 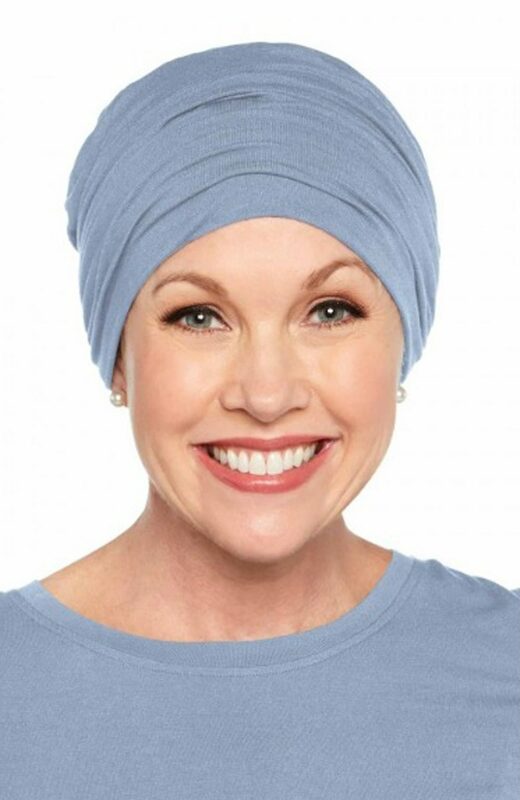 This turban is made from silky soft bamboo and is fully lined with no exposed seams or tags on the inside, making it a great option for those with sensitive scalps. 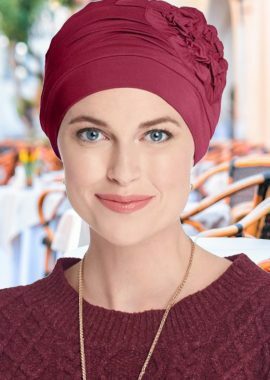 This classy turban can be dressed up further by adding accessories and scarves.